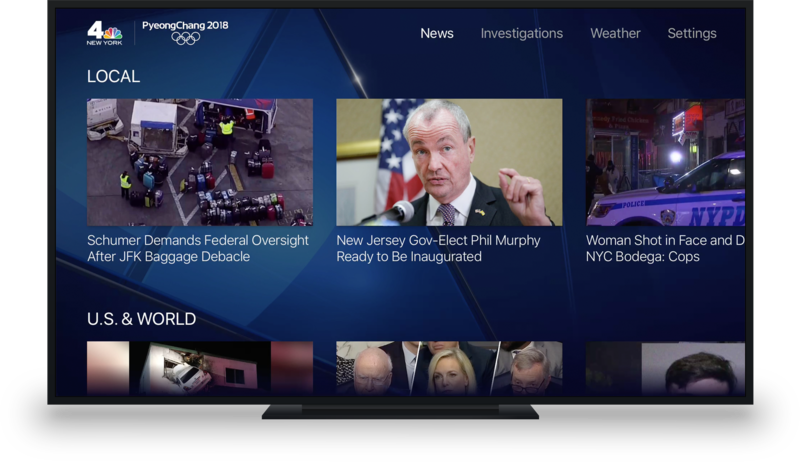 A first-in-class experience with video-first local news, weather, and more on the Apple TV platform for NBC and Telemundo local stations in 29 markets across the United States and Puerto Rico. Create a first-in-class experience that showcases video-first local news, weather, and more on the Apple TV platform. 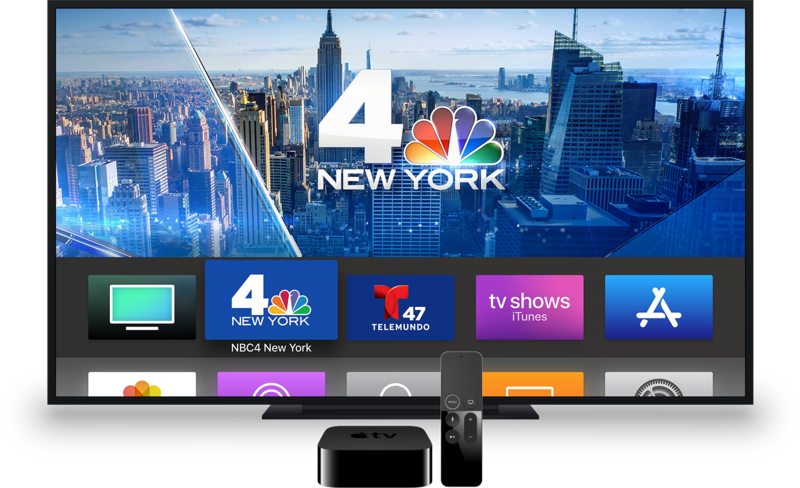 In 2017 the product team was tasked with creating a native OTT (over the top) Apple TV experience that blended our broadcast and iOS app experiences for NBC and Telemundo local television markets. It had to be something that was easy to use, trust-worthy and looked great. In 2017 the product team was tasked with creating a native Apple TV experience for NBC and Telemundo local markets. We focused on what the most important experience would be on the app, consuming video, and went from there. We started with our existing broadcast design patterns that would help guide the visual vernacular of the apps. 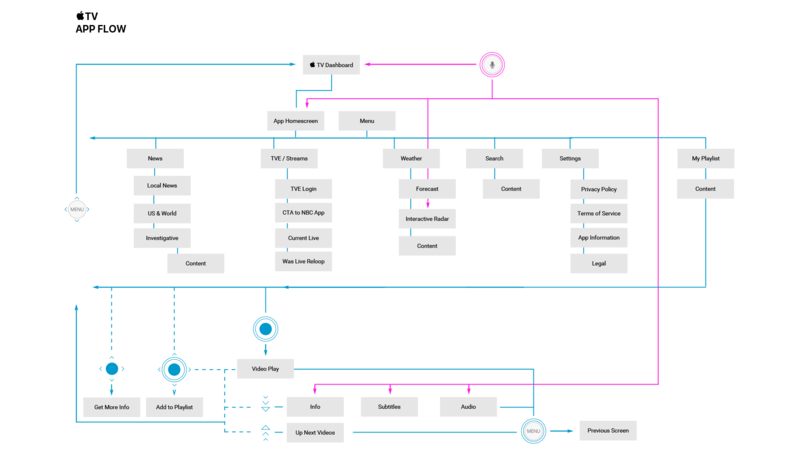 Through early stakeholder and competitive market research, we were able to define a feature list and content order for our MVP. Because we wanted to get to market as quickly as possible we needed to determine whether we were going to create a completely native app using custom navigation and elements or build on a TVML (TV Markup Language) template. To do what we wanted we decided we needed to go custom, working closely with our developers to execute the proper experience. The home screen showcasing the latest breaking news, local videos, and entertainment from each station's editorial desk. 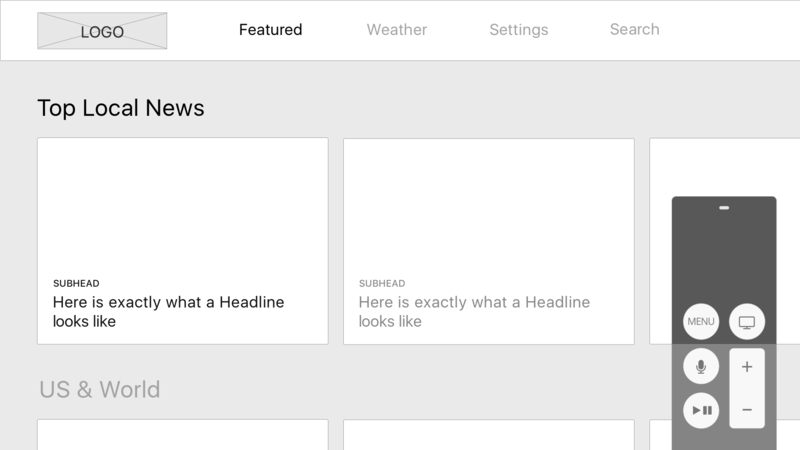 In-Navigation Overlay showcases more content without leaving your current video. Thanks to rapid iteration based on user testing and key stakeholder involvement we were able to launch the Apple TV experience to all markets by 2018.